Berlin- Samsung Electronics Co. unveiled a portfolio of five new smart sensors belonging to the SmartThings range at IFA 2015 show. A central hub meant for remotely controlling all the devices was launched as well. The devices can be seamlessly fitted under the user’s bed, windows, etc. With this, Samsung Electronics Co. has made its mark in the realms of IoT. The live event featured a Presence Sensor, which identifies the user’s location and keeps a tab on the place of their loved ones too using a smartphone like location beacons. The South Korean conglomerate also announced the launch of other products like a sleep-sense device, an Ultra HD Blu-ray player, an IoT WW8500 AddWash washing machine as well. The Blu-ray player offers 64 times better colour expression besides supporting HDR video and has a resolution which outperforms other Blu-Ray players by four times. It also provides for an upscaling option to turn any disc into UHD resolution device. The SleepSense device aims to enhance the quality of sleep and functions by analyzing sleep patterns of its users without actually touching them. The company is released data which escalated the fact that over 40% European own household Samsung built television set and around 60% of them use the company’s smartphone. The vision for the next few years was outlined by YH EOM, president of European Division in a press conference at IFA. He clearly indicated that the market for IoT is blooming fast and holds a potential of around 1 Trillion Euros by the year 2020. He also added that by then, all Samsung devices would be IoT-enabled. 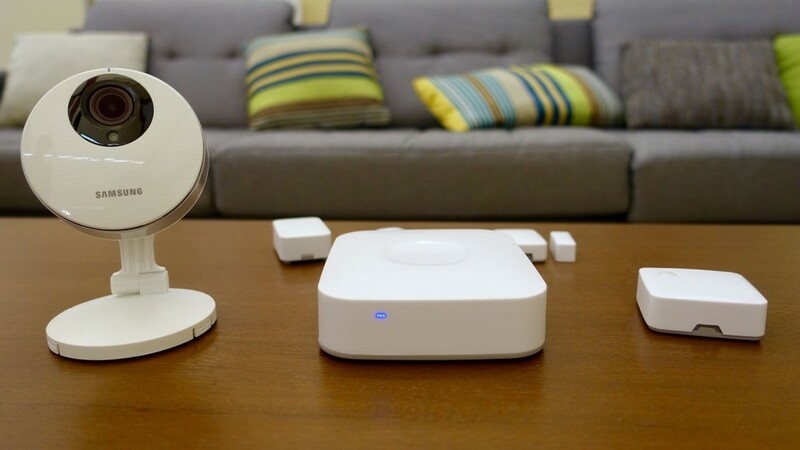 SmartThings Hub was acquired by Samsung in August 2014 which worked towards revamping of its hardware components including a better battery backup that can last the device for an extended period of 10 hours in case of power outage. American President Barack Obama obtained sufficient votes in Congress to keep alive the Iran nuclear agreement. This was after the deal gathered a minimum number of congressional votes required to uphold any kind of disapproval resolution passed by lawmakers. Democratic Senator Barbara Mikulski opined that deals are usually not flawless particularly one negotiated with the Iranian government. In her opinion, the Joint Comprehensive Plan of Action is the best step available to keep Iran from acquiring atomic weapons. Hence, she will vote for this deal. The deal is between Iran and the world powers. As per the deal, the former would redesign, convert and decrease its nuclear facilities. Iran would also adhere to the Additional Protocol for the lifting of all atomic weapons-related economic sanctions. Which countries are in the Iran nuclear deal? Apart from Iran, the countries involved in the deal include the permanent members of the United Nations Security Council (The United States, China, The United Kingdom, Russia and France), Germany, as well as the-the European Union. 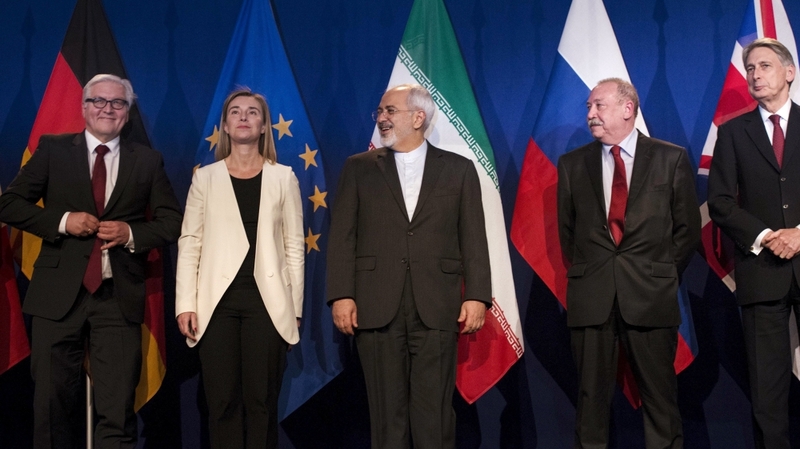 What’s in the nuclear deal? The deal involves measures by both world powers/organizations and Iran. They are listed below. Remove all sanctions in place within a short time of a final accord. Restore earlier sanctions if Iran does not comply as per IAEA reports and inspection. The European Union will lift banking and energy sanctions. America will remove sanctions against local and foreign companies engaged in business with Iran. All United Nation resolutions imposing sanctions on Iran will be cancelled. Not enrich uranium over 3.67% purity (useful just for civil use and nuclear power generation). Decrease stockpile of enriched uranium to not over 300 kilograms 3.67 percent enriched uranium for 15 years. Arak facility will be altered so as to generate a minimal amount of plutonium. Permit inspectors to access all its nuclear facilities as well as its supply chains (Military sites excluded). Why is Obama’s Iran nuclear deal good? The nuclear deal accommodates the energy requirements of Iran as well the concerns of the world community regarding Iran’s pursuit of atomic weapons development. A lot of work went on in reaching this agreement. Instead of deploying sanctions, taking military action a peaceful and acceptable agreement has been reached. Presently the Iran nuclear deal has been more or less accepted by the US government and lawmakers. 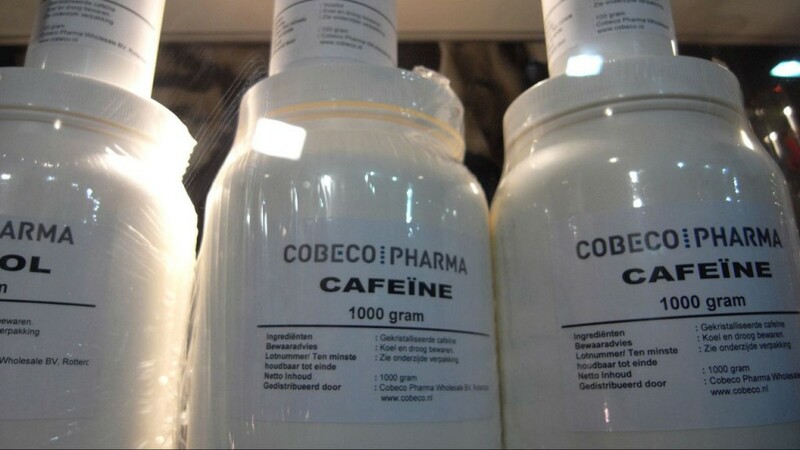 The FDA on Tuesday issued warning letters to five distributors of pure caffeine. This is for the first time the FDA has issued directives to curtail the sale and consumption of the stimulant in its pure form. The FDA had issued a consumer advisory warning of the dangers of consuming pure powdered form of caffeine after two cases of fatality due to an overdose in 2014. 5) Hard Eight Nutrition LLC Bridge City Bulk. All the five were marketing pure powdered caffeine as a dietary supplement. In 2012, FDA had issued warning letters to Breathable Foods Inc, which was marketing inhalable caffeine product as breathable energy. In 2012, FDA had investigated reports of five deaths that could have been associated with caffeine-containing energy drink made by Monster Beverage Corporation. Caffeine is a stimulant and finds use in small and safe doses in products such as carbonated beverage, coffee, and energy drinks. Increasing amounts of caffeine can lead to side effects such as tremors and nervousness. Consumption of large doses of powdered pure caffeine can cause arrhythmia, seizures, and even death. The FDA revealed that one teaspoon of pure caffeine was equal to the amount of caffeine in 28 cups of regular coffee. A typical American day starts in the morning with a cup of coffee. However, the FDA is now urging companies who sell pure caffeine products to stop. Sheila Sullivan who is a registered dietitian for Baystate Medical Center, talking to a news agency said that high levels of caffeine in the blood can raise your blood pressure to dangerous levels causing irregular heartbeat that can be fatal also. The only was FDA could stop it is to prove its health risks. The 1994 supplement act legalizes the sale of supplements, and the FDA does not have the authority over it. A news anchor was moved out from a recent press conference in the event of Donald Trump Presidential campaign in Iowa. Donald Trump, the candidate for the Republican President, was in a prolonged confrontation with the news anchor in the middle of the press conference. Trump explicitly stated that he had not been called to take questions from the news reporters. 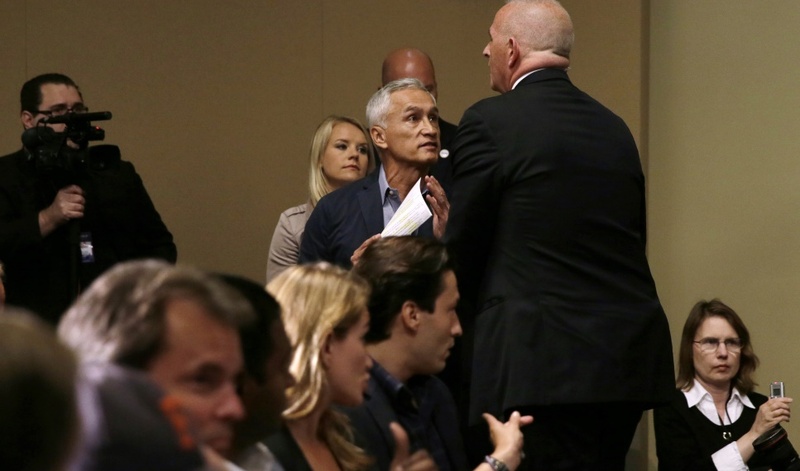 The incident occurred this Tuesday where Jorge Ramos, a Miami-based news anchor from a leading Spanish news channel stood in the middle of the conference and started to hurl questions at the Republican. All of a sudden, the news anchor began to ask Trump about his proposals on immigration, which includes ending the law that provides automatic citizenship for infants born illegally to the parents in The US. As Ramos continued to speak, Trump interrupted and repeatedly told him to sit down and then asked him to return to Univision. The situation was dealt by one of the security personals in the news conference. As the security personnel approached Mr Ramos, he continued to speak loudly saying “You cannot deport 11 million people”. Mr Ramos was referring to the proposals made by Trump regarding the illegal deportation of all the people before allowing some of the people to return to the country. Mr Ramos was moved out from the conference room with the help of the security personal and while moving out he hurled arguments regarding several proposals of the Trump’s plan. This was an annoying situation for all the delegates present at the diplomatic campaign. Trump ignored all the arguments saying that people like Ramos always stand up and scream unknowingly. Russia unblocked Wikipedia after one entry which, according to a provincial court, contained banned information took off the ‘objectionable’ content and edited it to their liking. Earlier in the day, the country’s internet regulator, Roskomnadzor, which is the Russian equivalent of Federal Communications Commission, had blocked a Russian language page of the site related to Charas, a type of hashish, after a court ruling. A recent Russian legislation forbids sites from carrying information about suicide, hate and drugs, a move which has come under flak from the critics. They accuse the authorities of trying to impose censorship by passing such laws. 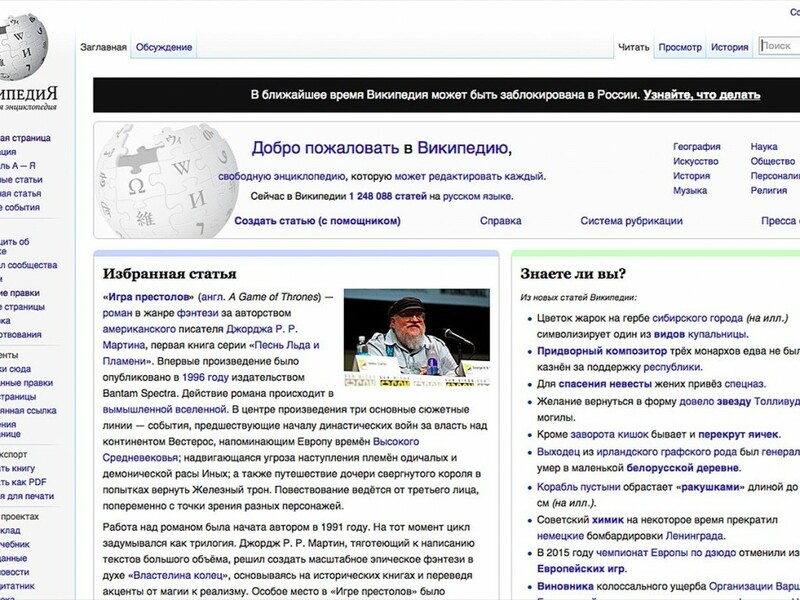 The ban on Wikipedia came in response to a court ruling in southern Russia. They wanted to block only one article about Charas but since Wikipedia’s security setup made it impossible for the Russian ISPs to block a single entry, they took the extreme step and denied access to the entire site. 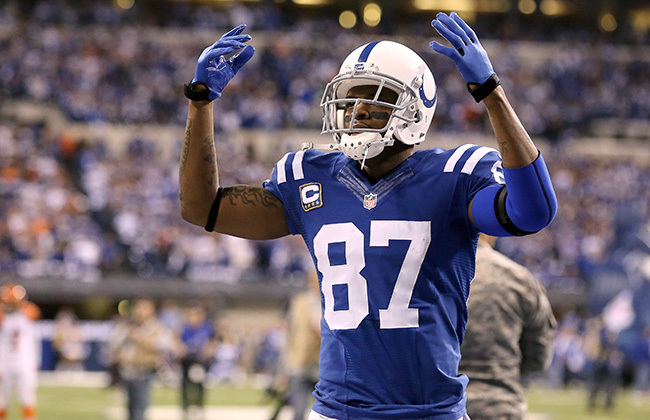 Though the ban was brief and lasted only a few hours, it did stir up a hornet’s nest. Memories of the temporary ban on Reddit earlier in the month (also in connection with an article related to drugs) are still fresh and this ban, no matter how brief, has catapulted the regulatory authority into limelight once again. Wikipedia has not yet responded when requested for their comments on the issue. Sinister 2 is not suitable for family viewing. As compared to the original, Sinister 2 has everything in excess. The violence depicted is appalling. The horror flick stars James Ransone and Shannyn Sossamon and is directed by Ciaran Foy. 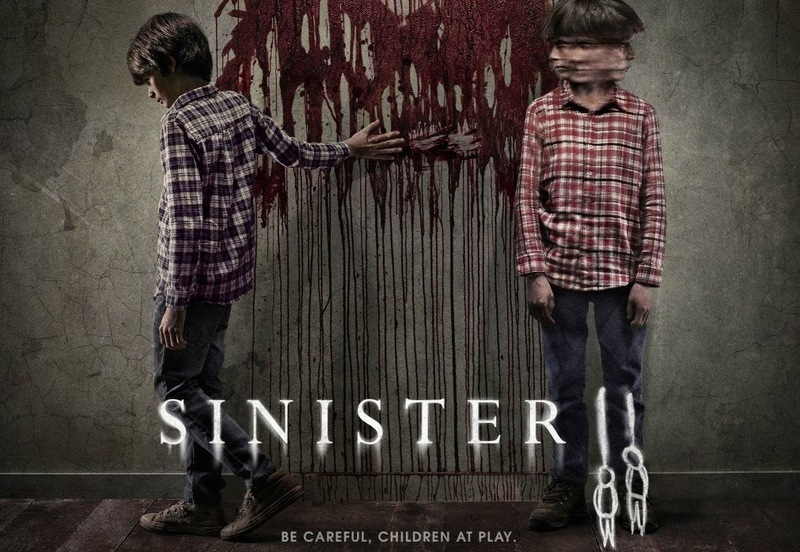 Sinister was another story of a creepy old house and a family in peril. The sequel has thankfully stepped out of the template of the original Sinister (2012) with a new family and its dynamics. Nonetheless, it is the same old wine, the ancient spirit who reminds one of character rising from a haunted house. The setting looks spooky, and the depiction of death is truly grisly. Sinister featured the unimpressive deputy sheriff played by James Ransone, who failed to save the Oswalt family, is back in the sequel in an expanded role. The new family is now a mother fleeing her obnoxious husband with her two sons in tow. The now ex-deputy who is now a private eye bump into the mother by accident. The mother and kids are hiding in the old farm house when he arrives to burn down the house with a flaming gas torch. He wants to prevent another episode of killing. The plot is twisted and convoluted to the extent of causing paranoia. The twists involve Zach, the other son played by Dartanian Sloan, who carries out the evil genie‘s gory and murderous plan with finesse. Shannyn Sossamon is good in her portrayal of an ineffectual mom Courtney, but the role did not have much for her to show other than a mawkish distraught damsel sort of role Ransone is perfect in his portrayal of edgy ex-deputy. Robert Daniel Sloan looks tailor-made for the role of the tormented Dylan while Lea Coco looks at home in his role as the abusive Dad and evokes revulsion and apathy in the same measure. There are plenty of instances which can give you goose bumps, but the storyline is weak and predictable. Director Ciaran Foy does try to do a reasonable job to horrify though he never really engages the audience. 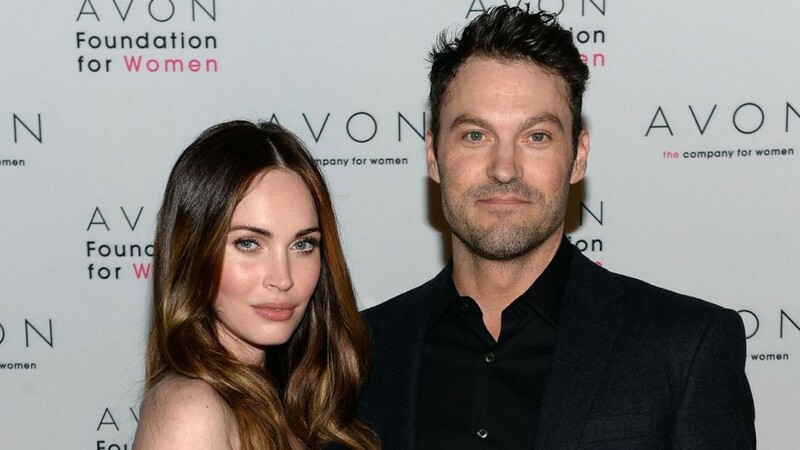 Brian Austin Green and Megan Fox has decided to call quit on their 5 years old marriage and 11 years old relationship over a heated discussion about Megan’s career. The stars married in 2010 and have two kids. 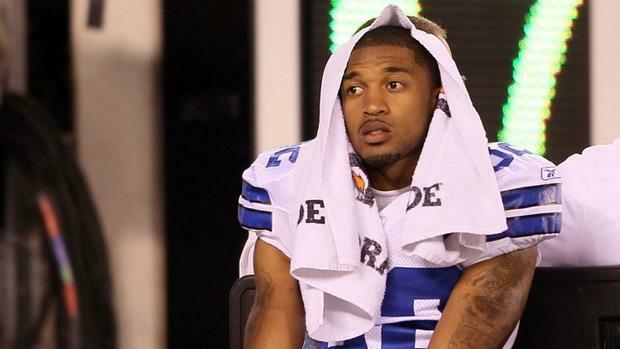 Green also has a son from a previous relationship. Breakups and Divorces are not a rarity in Hollywood but once a while a relationship that had endured a decade of trials and tribulations breaks and the effects are so dark which shakes up your faith in love. After the shocking split of Ben Affleck and Jennifer Garner, it is Megan Fox who has called quits from her husband Brian Austin Green. The marriage that was never steady during its 11 years finally broke asunder for whatever reasons best known to the estranged couple. US Weekly have quoted reliable sources and have reported that Megan and her actor husband have called quits six months ago. Brian Austin is 13 years senior to his wife, they have two kids Noah (2) and Bodhi (18 months). The last time both were seen as a couple was in June when they were having lunch in Beverly Hills. Megan Fox and Green met first in 2004 on an episode of ABC’s Sitcom Hope & Faith. They got engaged twice first in February 2009 and again in June 2010. The Transformer beauty and her actor husband had been through a tumultuous relationship spanning a decade before they decided in early 2015 to part ways. The hints were ample and when In the April issue of Harper’s Bazaar, Fox said that she still makes efforts to make time for date nights with her husband it became apparent that trouble was brewing between the couple. A source said the couple has decided to separate after five years of courtship and five years of marriage. The source then rolled out the usual banter of how much the couple respect each other and are devoted to their kids. The source also added that anything can happen in future but for now the couple is taking some time apart. 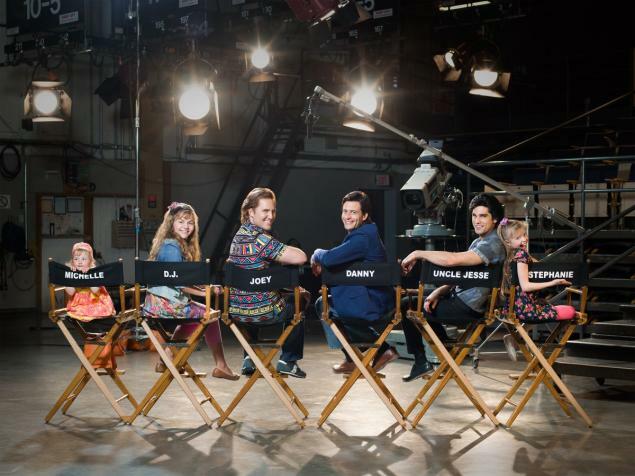 Unauthorized Full House Story – Lifetime the TV movie has ruffled quite some feathers, and the film is expected to reveal all the scandalous and juicy behind the curtain secrets that will be lapped by an eager audience clamoring for more. Some twins were auditioned before the Olsen twins were chosen. The babies were crying, and it was that the Olsen twins did not cry. The show was christened House Of Comics in the beginning and had a more comedy driven theme. It was later turned into a family show, and the results are there for everyone to see. Uncle Jesse was named Uncle Adam before it was rejected by Stamos. Uncle Adam’s last name was Cochran for the entire first season that was changed to Katsopolis to underline Stamos’ Greek Heritage. John Posey originally played the role of Danny in the unaired pilot before Bob Saget took on the role. Posey sounds familiar because he’s Tyler Posey’s dad and appeared in three episodes of Teen Wolf with his son. The twins were asked to pretend that they were not twins in the first few seasons and hence were credited Mary-Kate Ashley Olsen. The twins practiced calling the cast members by their character names so that they were not confused. The original story had Becky appearing in only six episodes. However, her popularity soared, and she ended up staying forever. Mary-Kate and Ashley had decided to quit after the first season but were cajoled by Michelle, who also offered an undisclosed sum of money. Dave Coulier’s hockey obsession saw Joey playing hockey, and it culminated with the introduction of Candace Cameron Bure to Valeri Bure who eventually became her husband.